We wanted to give you a little (BIG) update from Elbi HQ. We are releasing a new video version of the Elbi app. 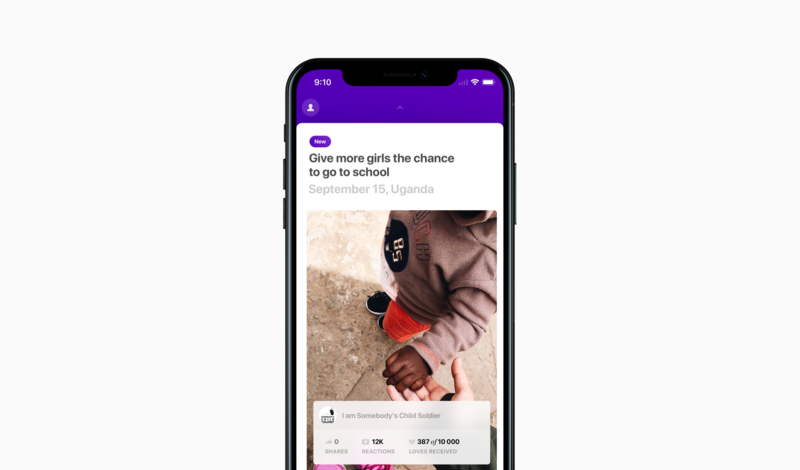 Now the app will have real video content from your favourite charities working on the ground, helping you feel even more connected to the causes that matter to you. You can watch incredible stories from Elbi&apos;s charity partners, upload your own reaction to the videos you watch, and you can fundraise when people love your reactions. As always you can donate to a cause by hitting the LoveButton, but now you can use Apple Pay to make things even easier. The Loveshop will be closed until the end of November. Don&apos;t worry, you can still continue to earn LoveCoins by donating to your favourite charity causes and we will keep a log of your Elbi Score. As an additional incentive, the user who earns the most LoveCoins during this time, will join Natalia at the Business of Fashion ceremony in Soho Farmhouse as her personal guest — more details to follow soon. As with any big upgrade, there are still a few bugs, but please bear with us as we&apos;re continuing with tweaks and fixes over the coming weeks. If you find anything that doesn’t work or you think we could improve, we&apos;d love to hear from you at hello@elbi.com.